3 Bdrm Grnd flr Self-contained flat. V/bule. Hall. Lounge. Kitch. 3 Bdrms. Conservatory. Bathrm (CT band - B). Garden. Parking. Price over £145,000 Entry by arr. Viewing Mr Umesh 07735 344763. (EPC band - C). 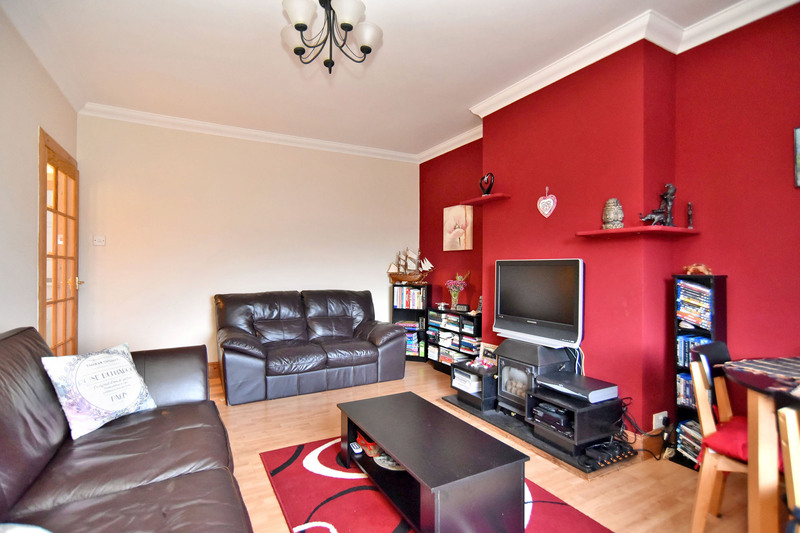 Situated in the popular Bucksburn area of Aberdeen this is a SELF CONTAINED 3 BEDROOM GROUND FLOOR FLAT. 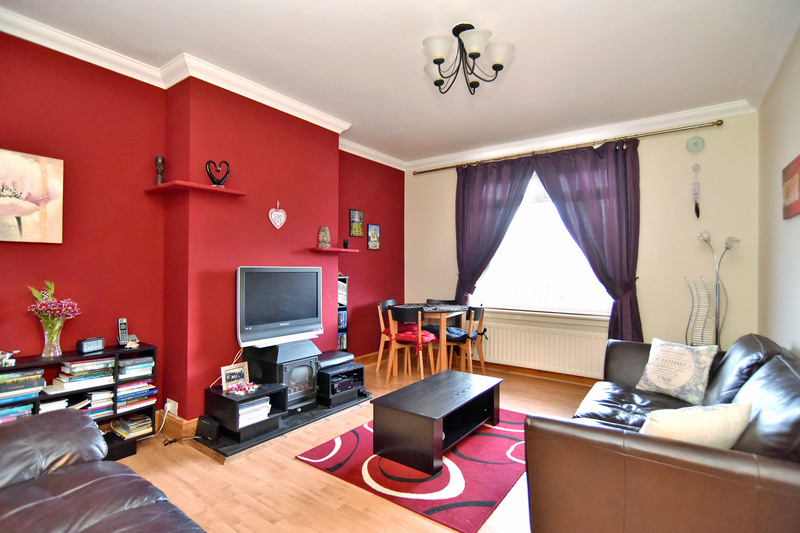 The property features well-proportioned accommodation with the benefit of gas central heating and double glazing. 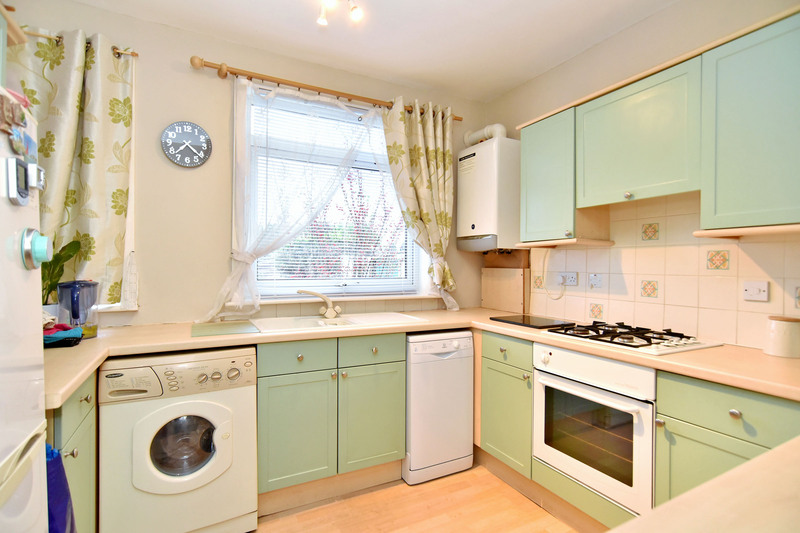 Attractive and well equipped kitchen. 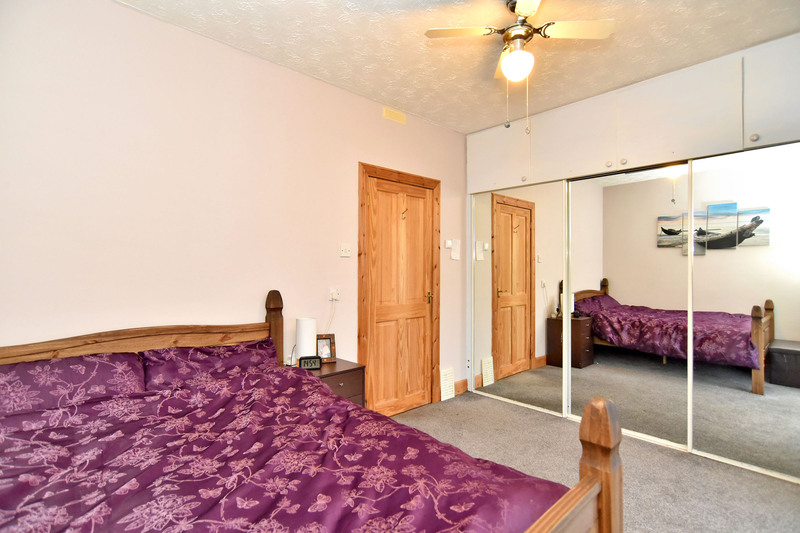 Well proportioned bedrooms. A particularly attractive feature is the conservatory. 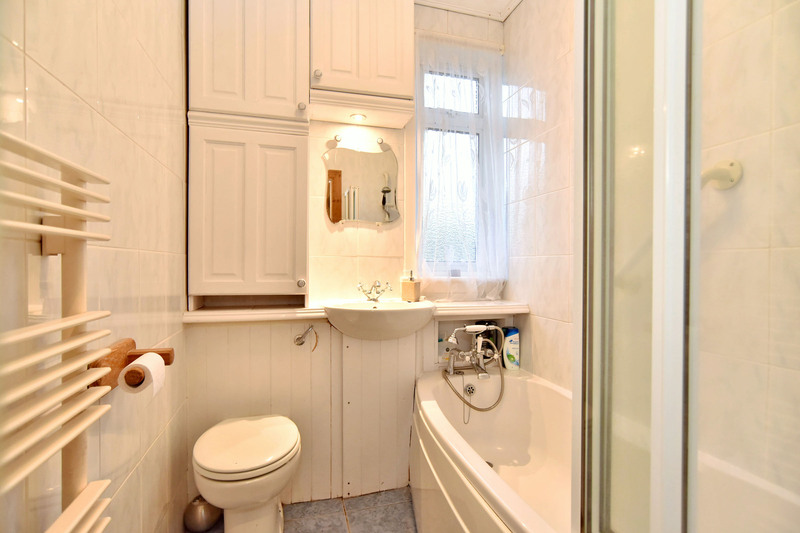 Family bathroom with mains shower. 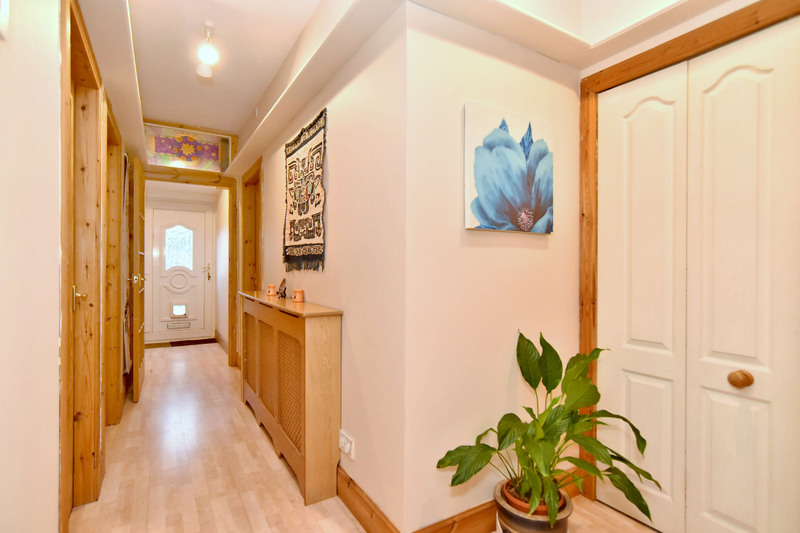 The property offers ideal family sized accommodation and has been well maintained by the present owner. Extras are included in the price with other items available by separate negotiation. Bankhead Avenue is situated in an area well served by local shops and public transport facilities. Bucksburn itself has Primary and Secondary schools, a community centre, swimming pool and various other social attractions. 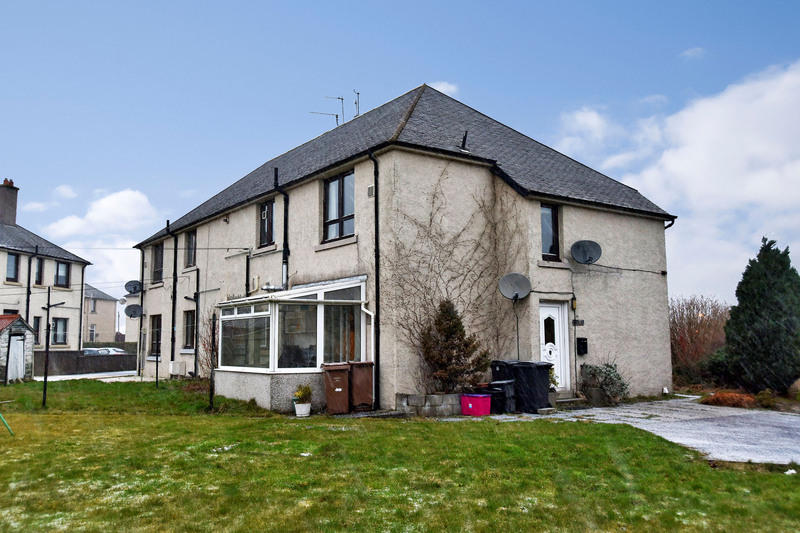 The location is ideal for those working at the Airport or the oil related offices at both Dyce and Bridge of Don with most parts of Aberdeen City being readily accessible by a variety of arterial routes. ENTRANCE VESTIBULE: UPVC door with glazed panels. Large cupboard with coat hooks. Electric meter box. HALLWAY: Roomy L shaped hall. Laminate flooring (light wood). Gas central heating radiator. LOUNGE 15'6” x 11'8”: Well-proportioned room with outlook to the front of the property. TV point. 5 point light fitting. Glazed door to hall. Laminate flooring (light wood). Gas central heating radiator. KITCHEN 9’6” x 9’: Outlook to the rear of the property. Good range of units at eye and base level. Wood effect worktops. Tiled splashback. Gas hob, extractor and electric oven. Plumbed for washing machine and dishwasher. Enamel sink with mixer tap. Laminate flooring (light wood finish). 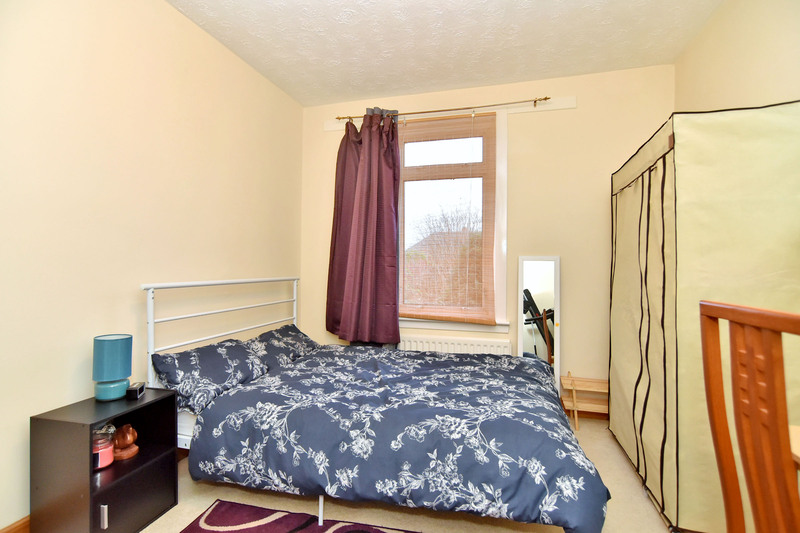 BEDROOM 1 11’7” x 9’3”: Well-proportioned bedroom with outlook to the rear of the property. Built in triple wardrobes with mirror glass sliding doors. Gas central heating radiator. 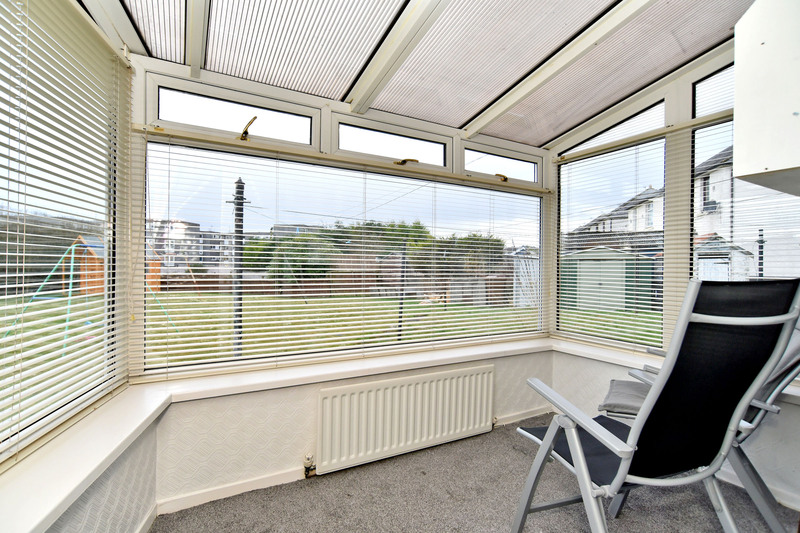 CONSERVATORY 10’2” x 6’9”: Currently situated off bedroom one, it is thought potential buyers may choose to adjust the room layout to allow easy access to the conservatory which has a bright outlook to the rear garden. Gas central heating radiator. BEDROOM 2 11’7” x 9’8”: Further well-proportioned double bedroom. 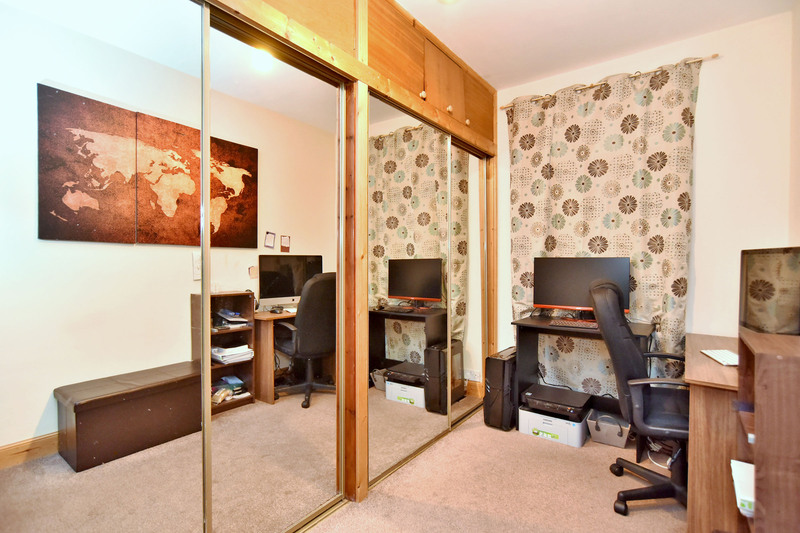 BEDROOM 3 11’7” x 5’8”: Currently used as a study, units/wardrobes with mirrored glass sliding doors. Outlook to the front of the property. FAMILY BATHROOM 6’2” x 5’3”: Three piece white suite. Shower off mains. Heated towel rail. OUTSIDE: Share of the mutual drying green. Double metal storage container to remain. Garden to the front is enclosed by wooden fencing, low maintenance with a variety of mature shrubs and bushes. Share of driveway to the side.